People have told me the Chicago Marathon was their favorite race. Other people have told me how much they hated that race. I ran the Chicago Marathon a couple of weeks ago so I now have formed my own opinion about the race. Of the big city races I have run, the Chicago Marathon is one of the best. 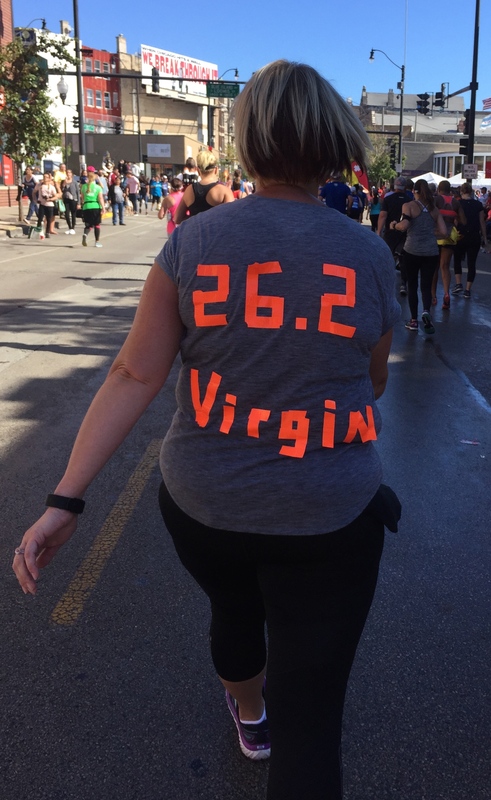 To put it another way – the Chicago Marathon is my kind of marathon. First off, the location is perfect. Chicago is centrally located so it is an easy trip from the East Coast or the West Coast. 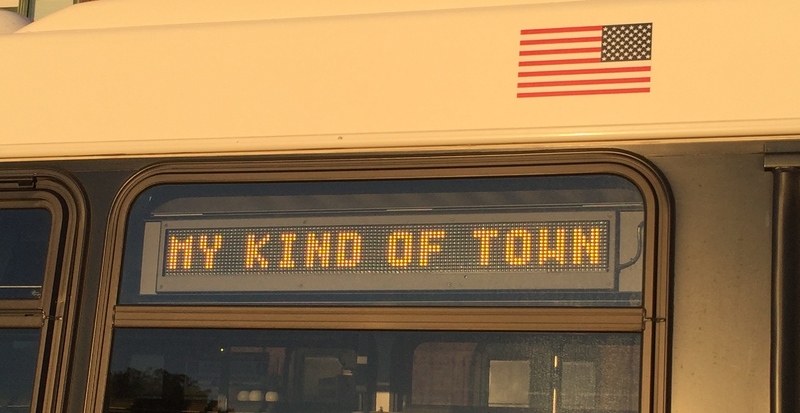 Chicago is a great place to visit too. There are many excellent restaurants, plenty of shopping, and interesting museums. I didn’t want to walk around much before the race so I enjoyed the architecture boat tour on the Chicago River – a fabulous way to get a unique view of the stunning buildings that make up the Chicago skyline. 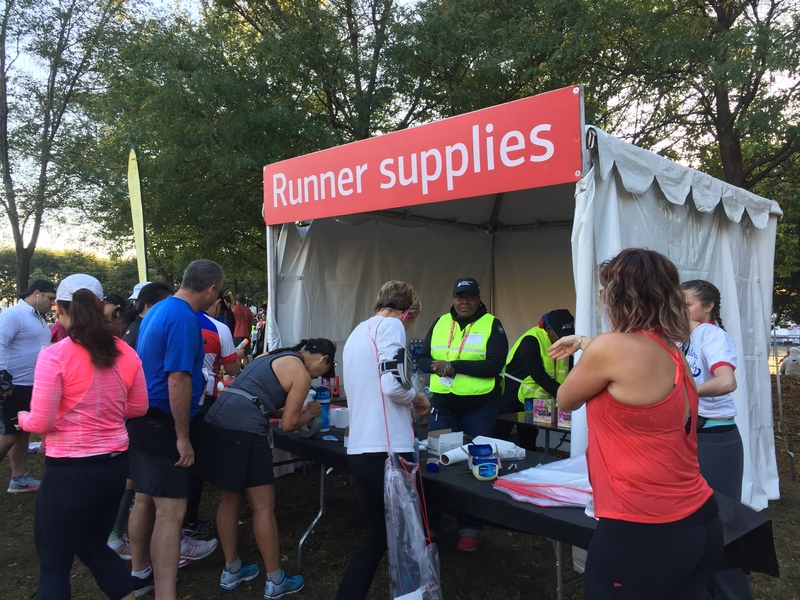 With such easy access for everyone across the country as well as around the world (from over 100 countries), the Chicago Marathon is a big race. About 45,000 runners participated in this, the 40th anniversary of the race. At the start, runners were divided into three waves with multiple corrals in each. They staggered the wave starts so there were about 30 minutes between each wave. I was in the last corral in the last group – the L corral. Doesn’t get worse than that but I have to admit – it was fun back there. Since Chicago is located on the shores of Lake Michigan, I thought it would be at sea level. Surprisingly to me, the elevation in Chicago is about 600 feet – higher than New York, which is only 33 feet. The marathon course itself is pretty flat too – not many hills in Illinois. The course is a big loop through all the different neighborhoods of the city. 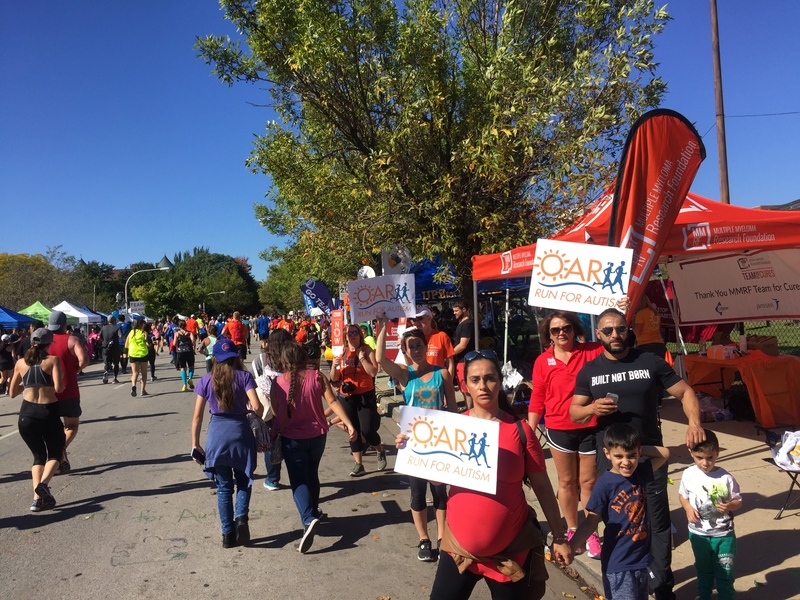 The race is a great way to see Chicago’s rich ethnic diversity. The race started in Grant Park behind the Art Institute on South Michigan Avenue and headed north to Lincoln Park, past the zoo. There were plenty of spectators holding interesting signs and cheering along the way. We ran past a senior citizen assisted-living center where the windows were plastered with motivational signs for the runners. Some of the residents sat by the windows waving at us while others sat in wheelchairs along the road, clapping and waving flags. In Lincoln Park I ran past a car on the side of the road with the windows rolled down. Its radio was tuned to race coverage. I could hear them interviewing the men’s marathon winner. He had finished and I was still at Mile 6. That was the most discouraging moment of the race for me – the winner had finished and I still had 20 more miles to go. Just north of the park we turned back and started heading south towards the central part of the city. As we ran, we passed beautiful brownstone townhouses and many cheering spectators. It was definitely a lively crowd. This was also the section where I did my first (and, I hope, my last) face plant in the middle of a race. Fortunately, I was up and running with no significant physical injury (though my ego took a big hit). 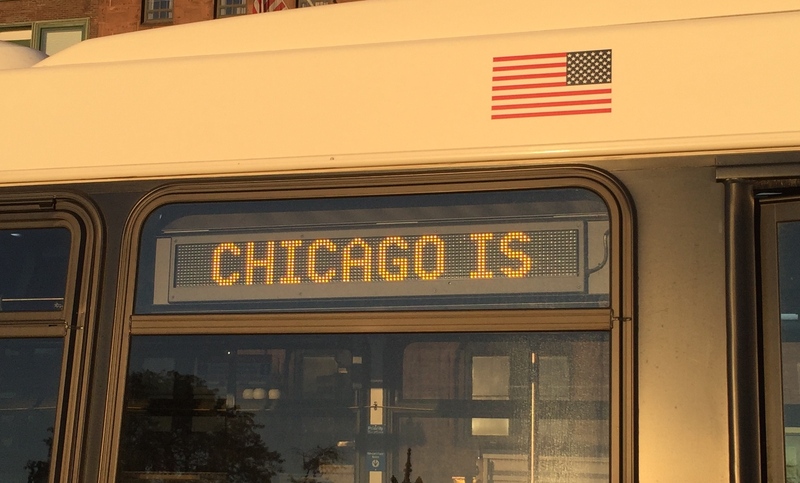 When we got back to the center of Chicago, we made a right and headed west. This part of the race was very enjoyable. We ran through Greek Town and Little Italy. At one point, I smelled pizza baking. I was tempted to make a detour to find the source of that mouth-watering smell. I doubt I could have run another 13 miles after eating pizza but I made a note to look for Chicago-style pizza after the race. The best part of the race was at Mile 14 where the Charity Block Party was set up. I was stunned by the number of charities represented. There were EZ-Up tents, side-by-side, one after another, lining both sides of the road, representing charities whose runners were fundraising for them. I have run more races than I care to admit but I have never seen anything like the Charity Block Party. It was amazing to see tents for Leukemia & Lymphoma Society, American Brain Tumor Association, Best Buddies, Muscular Dystrophy Association, Alzheimer’s Association, and The Organization for Autism Research (OAR) to name just a few. Each was manned by enthusiastic cheering volunteers. I was so overwhelmed by the sight of all these groups that I stopped just to look at them all. It is incredible how galvanizing a cause can be for people and in such a positive way. The next part of the course took us through Pilsen, Chicago’s second largest Hispanic neighborhood. There were many mariachi bands and dancers along the course in Pilsen. It was the liveliest and friendliest part of the whole course and my favorite. The last 6.2 miles of the course were the toughest. 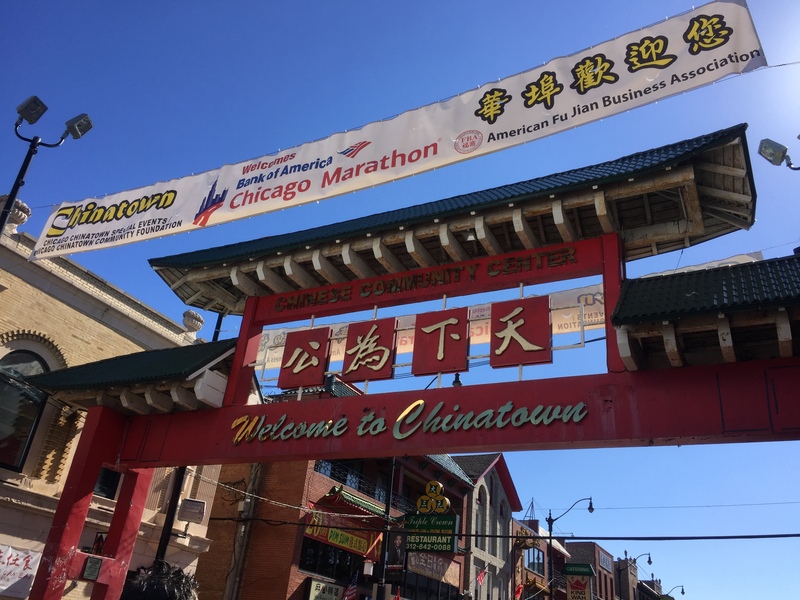 We turned onto Wentworth Avenue and ran through the huge red gate that welcomed us into Chicago’s Chinatown. There were plenty of cheering spectators here but once we left Chinatown, things were less exciting. This is typically the point where runners will hit the proverbial wall in a race – where there aren’t so many cheering spectators or interesting things to see. The only thing that kept me going was the realization that each step was getting me closer to the finish. As I ran up South Michigan Avenue towards Grant Park and the finish, I could tell when I was getting close to the finish by the noise and the crowds. The crowds got thicker and the noise got louder as I approached the first of two final turns on the course. I was not prepared for the little hill we had to run up after the first turn. I shouldn’t complain – I run longer and steeper hills on my training runs at home. After the final turn, the finish line was straight ahead. I could hear the announcers reading everyone’s name as they crossed the finish line. Joan Benoit Samuelson was one of the announcers and I was hoping to hear her read my name. Honestly, when I finished, I only had one thing on my mind and that was getting my checked bag and taking a rest. If she said my name, I sure didn’t hear it. I can see why people like this race so much – cheering crowds, beautiful buildings, unique neighborhoods, each with its own character and feel. I am a Chicago Marathon fan now too. I’d like to run that one again (without falling though). I didn’t get my post-race pizza so that would be a reason to go back. The Chicago Marathon should be on every marathoner’s to-run list. 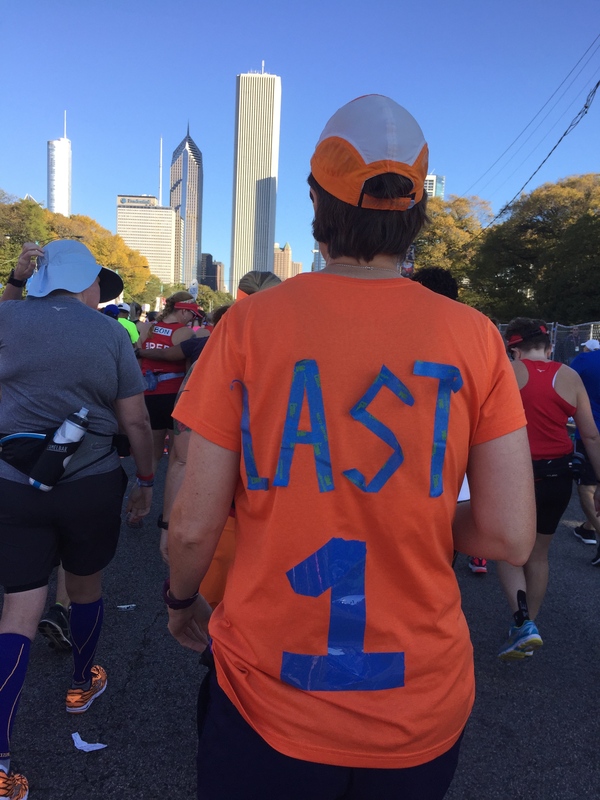 This is my second post about the Chicago Marathon. 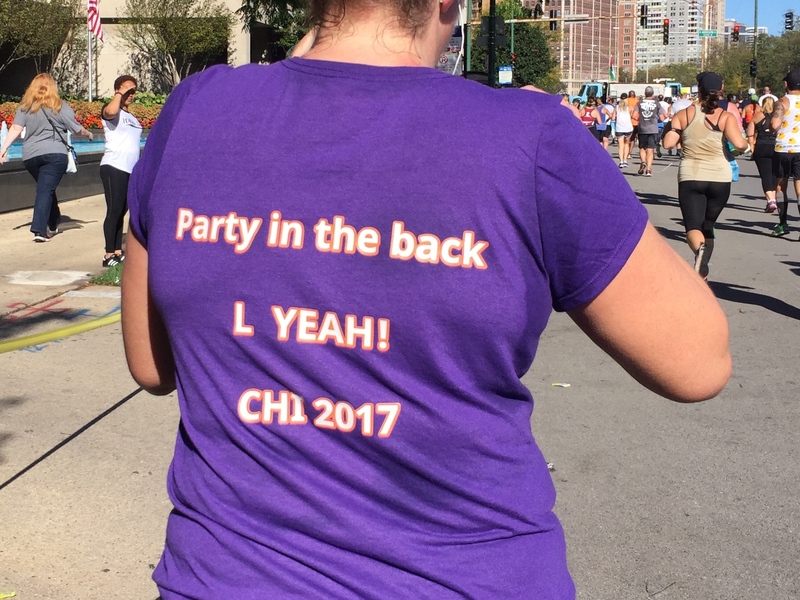 Check out my first post about my race – Chicago – How Bad Did I Want It.